Dr.-Ing. Henriette Bier and PhD-cand. 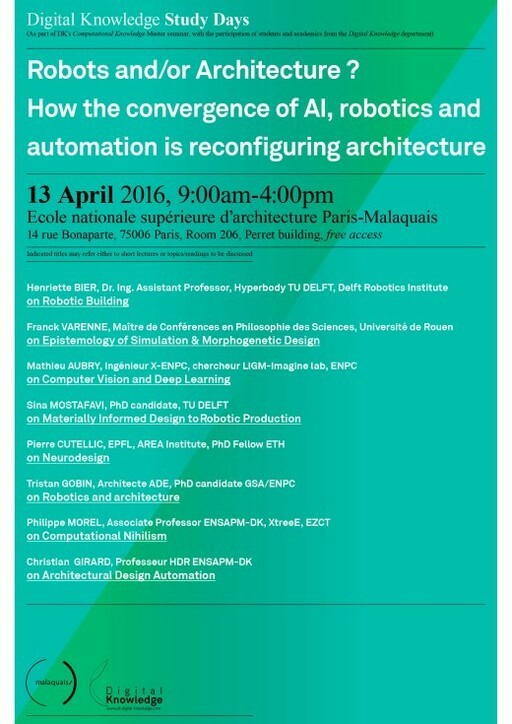 Sina Mostafavi speak at 3rd Digital Knowledge Study Day addressing the question Robots and/or Architecture?